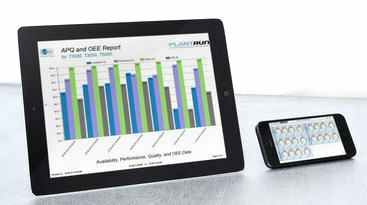 SmartView gives you mobile business intelligence allowing you to remotely access your manufacturing operational kpi data directly from any mobile device. Acting as a mobile dashboard SmartView displays real time metrics directly from your PlantRun system allowing you to view the critical information you need for the smooth running of your business, whenever, wherever. React faster to problems occurring. 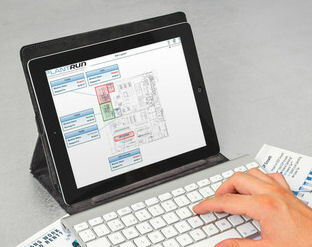 View data from multiple sites from any device. SmartView works on any device that can connect to the Internet and has a HTML5 browser. Smart phones - Apple iPhone, Android, Windows, Blackberry etc. PC's, Notebooks, laptops and PDA's. SmartView utilises a secure mobile web server to display data directly to your device browser. There is no need to install software or download apps. This eliminates the need to maintain multiple versions of apps for native clients or having to deal with app stores. Works on any size of browser. Standardised data display formats allow instant setup without time consuming configuration. Secure. Your sensitive data is not stored on the device so there is no local copy to lose if the device is stolen. The data only resides on the SmartView server. User access can be unrestricted or limited by password and IP address.